Do you live in the Aylesford/Maidstone/Medway area and would like to fill some of your spare time doing something constructive and meeting new faces? 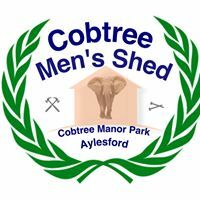 If so, perhaps you might like to think about joining Cobtree Men's Shed. Despite the name, men and women are very welcome. If you would like to know more about what we do, please see our About page.